This is the first professional studio recording from The Malibooz dating back to January 1965. This is the band at its earliest, rawest form. 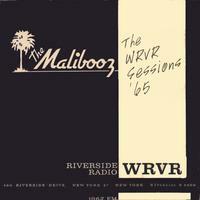 On January 20, 1965 The Malibooz entered the studios of WRVR in New York City for their first professional recording session. Although they had been together since 1963 and made several "basement tapes", this was the first time they had been in a recording studio. of "Goin' To Malibu" as the first Malibooz recording, but the WRVR sessions predate the NOLA sessions by 5 months. A lot happened in those 5 months. This is not the lush vocal harmony group that many of you now know, but the boys in their early teens giving surf music their own raucous NY touch. The WRVR sessions have been described as similar to The Beatles' Hamburg period; before George Martin turned them into recording stars.